Embellish your ensemble with utterly gorgeous Chantilly lace. 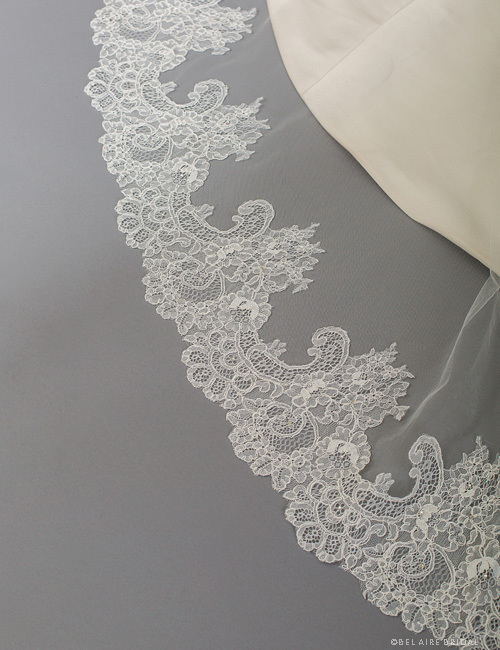 A 1-tier rolled edge cathedral veil features re-embroidered floral lace along the sides and bottom curve. Soft and romantic, this feminine design beautifully complements ethereal lace gowns.